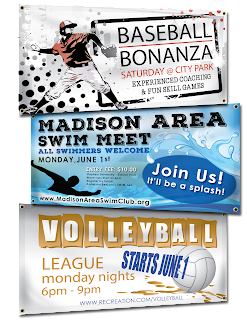 Order Custom Vinyl Banners for your Summer Sports Events! Are you part of a summer sports league? Or have a sports event that you're planning for your child or organization? If so, we can help! 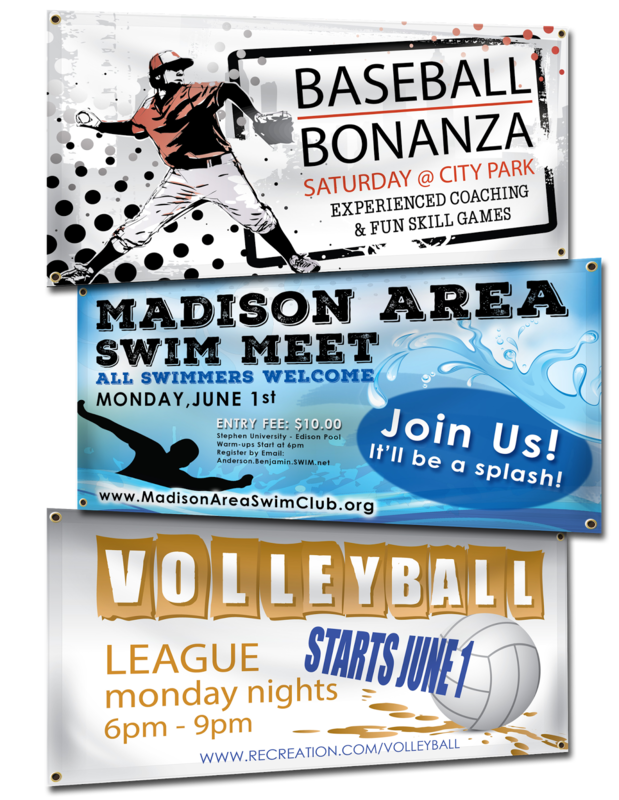 We have lots of customizable sports banners on our website. You can add a background image, add sports clip art images, and customize the text so it's relevant for your event. If you have any questions, or need help with your design, please contact us! You can email service@banners.com or call 320-965-9300 and talk to a real person! Our hours are Monday - Friday from 8:00 am - 5:00 pm CST.